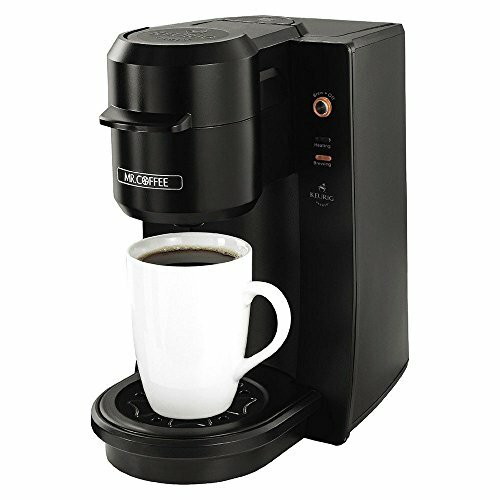 The Mr. Coffee K-Cup Single Serve Coffee Maker delivers incredible convenience thanks to our partnership with Keurig. That's right—you can use your favorite K-Cup varieties to brew delicious, single-cup beverages whenever you want them. Simply add fresh water to the reservoir, insert your desired K-Cup Pod, and press the brew button. You can even choose between between 3 brew sizes: 6 oz., 8 oz., or 10 oz. No matter how you make it, you'll fall in love with every cup, thanks to this innovative collaboration between two of the most trusted brands in home coffee brewing. 3 cup size options: 6 oz., 8 oz., or 10 oz.